After years of being mediocre the Dallas Cowboys have finally gotten over the hump. The years of being 6-10, 8-8, 8-8 and 8-8 are finally behind us. There is no such thing as “December woes” when speaking of the 2014 Dallas Cowboys. There aren’t any questions in regards to Jason Garrett being the head coach or if Tony Romo is good enough to be the starting quarterback. There also isn’t any talk on whether or not Jerry Jones should step down as the GM for the Dallas Cowboys. The only question or questions that are being asked this time around are about the Cowboys being legitimate Superbowl contenders. Nothing more and nothing less. This season the Cowboys have changed their style of play drastically. They are no longer the team that looks to put up points on the board and outscore the opposition. They no longer play conservative and timid. Rarely do these Cowboys come out playing soft. The Boys are now more about imposing their will. They look to control the time of possession. They dictate how the game is played. And when things get tough they still show heart and play hard. Because of the change in philosophy as well as mentality the Cowboys have done a 180. They’ve changed things that hampered them in the past that led to the 8-8 finishes which in return, has led them to winning the NFC East as well as having a chance to be at the top of the NFC. 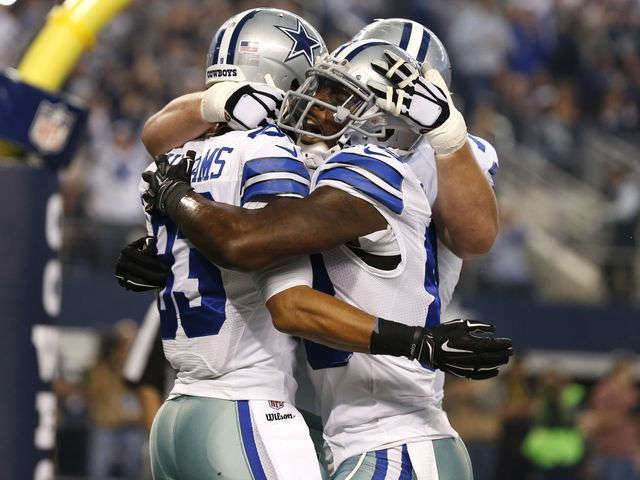 Sitting at 11-4 (tied for #1 in the NFC) the Cowboys have become a force to be reckoned with. They can win on the road in tough environments. (7-0 on the road.) They can run the ball just as good as anyone as well as air it out. They dominate the time of possession. They force turnovers. They contain high-powered offenses (Saints-Bears-Colts-Eagles). The only thing the Cowboys have a problem doing is rushing the passer; which in recent weeks hasn’t been much of a problem. This Dallas Cowboys team is a threat. And arguably the most complete team in the whole NFC. Teams no longer push them over and dictate what’s going to happen. Those days have ended. 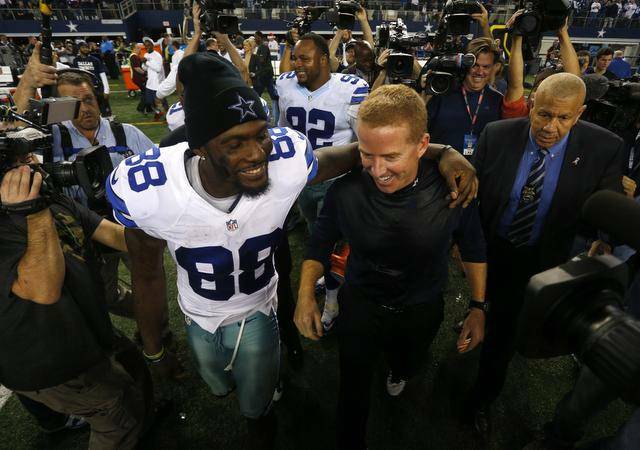 The Dallas Cowboys have graduated from being boys, to being men. Having said that, they can compete with the likes of anyone and should be taken seriously. After a slow start to the season the Seattle Seahawks look like their old dominant selves again. The red hot Hawks have won 5 straight and 8 of their last 9 games. The defense, led by the Legion of Boom have gotten their swagger back. They’ve gotten back to that hard hitting, smash mouth attitude which made them so special last year. The Seahawks offense, led by Russell Wilson, is starting to become a very productive bunch. With Marshawn “Beast Mode” Lynch in the backfield doing what he does best and Wilson extending plays like no other QB in the game can, they look very hard to stop. That’s not mentioning the fact that Russell Wilson to this point is 15th in overall rushing, which is insane for a QB. In their last game against the Arizona Cardinals, who have one of the best defenses in the league, Seattle’s offense produced their highest yard total in franchise history at 596. With Seattle beating Arizona Sunday, they can now clinch the division and lock up the 1st seed in the NFC with a win next week against St.Louis. If they do indeed win next week the road to the Super Bowl will have to go through Century Link Field aka the 12th man, where the Seahawks are almost unbeatable. Despite being done earlier this season by the Dallas Cowboys, the Cowboys didn’t play this Seattle team to date, as they were banged up with injuries on their defense and they just didn’t look like themselves at that point. It also seems extremely unlikely that the reigning Super Bowl champs would let Dallas stroll into Seattle and beat them again. 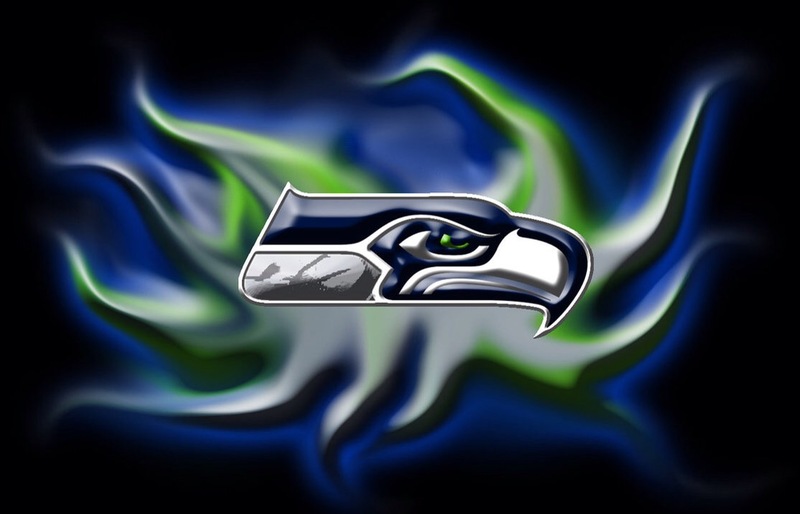 With their swagger back and with both their defense and offense seemingly peaking a the right time the Seahawks look virtually unbeatable. Also if they have home field advantage throughout the postseason, you might as well go ahead and punch their ticket to their second straight SuperBowl. Are they better than last year? That has yet to be seen, but they do look just as dominant as they did a season ago when they made opposing teams have nightmares before games. That’s enough to know right there.